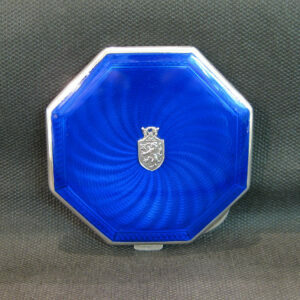 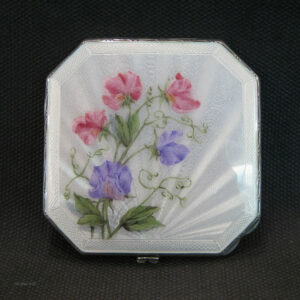 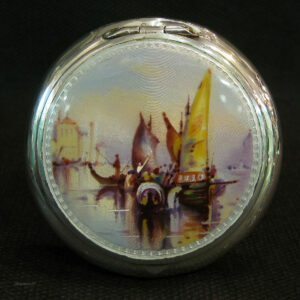 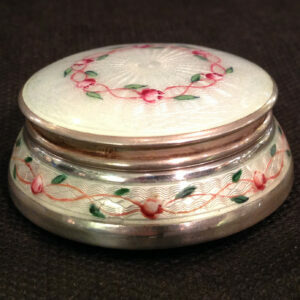 silver and deep blue guilloche enamel compact. 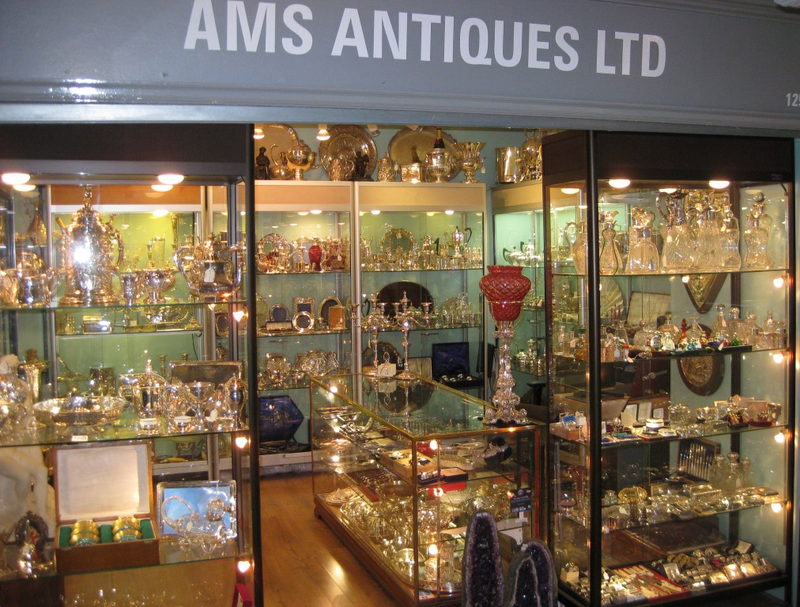 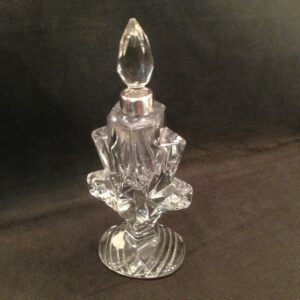 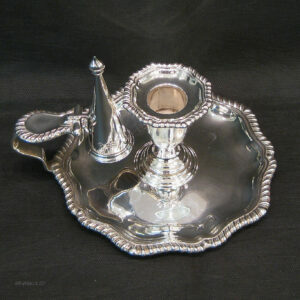 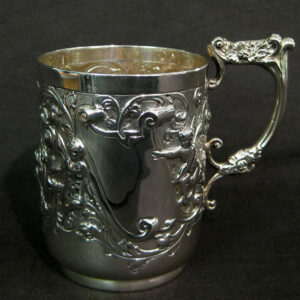 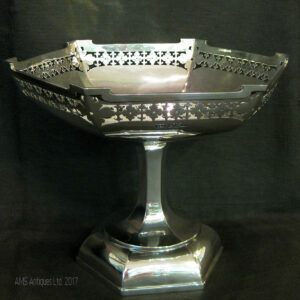 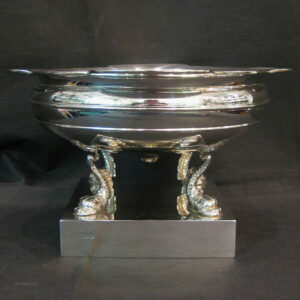 Silver Christening cup by Wakely & Wheeler. 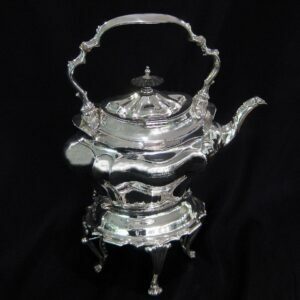 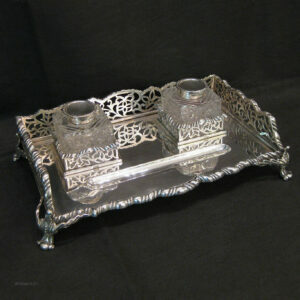 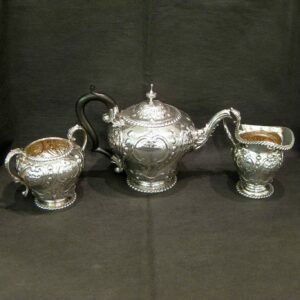 Silver embossed 3pc tea set.